Rabbi Spike Anderson was born and raised in Boston, MA. and was ordained at Hebrew Union College-Jewish Institute of Religion (HUC-JIR) in New York City. 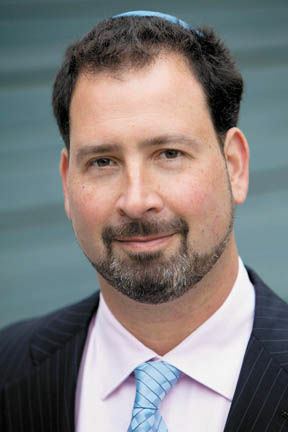 Before his decision to enter the rabbinate, Rabbi Anderson worked as an Executive Recruiter in New York and San Francisco. While at Seminary, Rabbi Anderson augmented his studies by serving two summers as an interfaith Chaplain at Dartmouth-Hitchcock Medical Center. In addition to his rabbinic and pulpit responsibilities, Rabbi Anderson is dedicated to the Israel & Peoplehood pillar of Stephen S. Wise Temple. He works tirelessly to connect congregants with Israel through political action, social action, personal connection, cultural exchange, and study. As the Rabbi for the Early Childhood Center (ECC) as well as the Kindergarten and Grade 1 students of the Elementary School, Rabbi Anderson has the pleasure of conducting weekly Shabbat services for our youngest members, as well as lively ‘Tot’ and ‘Family’ Shabbats throughout the year. Through song, movement, talking puppet shows and ridiculous costumes, he strives to create a dynamic yet comfortable environment for the children to learn and love their Judaism. With his open door policy and passion for pastoral care, he is honored to provide spiritual guidance to the children as well as their families. Rabbi Anderson also has taken a leadership role in creating and implementing the ‘Kehillat Wise’ program within our congregational community. Launched in response to the economy crisis, the program is designed to empower congregants to help other congregants; and it has earned nation-wide recognition due to the invaluable variety of resources, programs, and one-on-one guidance. Wise Hearts is a program that Rabbi Anderson is in the process of revitalizing and taking to the next level. Working with a dedicated committee, Rabbi Anderson oversees as temple members reach out to other temple members in times of joy and sadness, offering gifts, comfort, even help with carpool. Rabbi Anderson takes the most joy out of being a teacher, and is proud to have students ranging from age 1 to 101 years old. His classroom ranges from congregant’s living rooms to his office at the Temple. This year, Rabbi Anderson will offer such classes as: “Your Personal Theology and Spiritual Journey”, “Finding God”, “Introduction to Judaism”, and “The Hunger Games: what Judaism might have to say about it”. On July 1, Temple Emanu-El welcomed its new senior rabbi, Spike Anderson. A leader with a track record of getting things done, his calendar was already filled with meetings with other community leaders, not just from the temple but from business and government as well. Anyone who expects Rabbi Anderson to be a typical man of the cloth would be wrong. One of his least typical attributes is his name. The story behind it is that when his father was a boy, he wanted a tough name and decided on Spike. When it didn’t stick, he vowed to name his son Spike. His son was born Nicholas, but has gone by the name of Spike ever since. In addition to his unusual name, Rabbi Spike Anderson has taken an unusual path to his position at Temple Emanu-El. Born and raised in Boston, he began his career as a Silicon Valley entrepreneur, founding a high-tech recruiting firm that worked with venture capitalists. In 2008, five years after starting his company, he had an epiphany. “I had a calling to serve the Jewish people, the State of Israel and God,” he said. He then spent a year of discernment, traveling the world and thinking about what to do. He went back to school and was ordained at Hebrew Union College-Jewish Institute of Religion in New York City. His next move was back to California, to be a rabbi at Stephen S. Wise Temple in Los Angeles. While there, he threw himself into all aspects of Jewish life. One of his favorite roles was as the children’s rabbi, teaching and interacting with children in the temple school. “I love working with kids and young families and helping them to love their Judaism,” he said. But his role went far beyond the walls of the temple. Through the Israel and Peoplehood Pillar, he worked to connect congregants to Jews throughout the world. As part of the program, he facilitated communication between the temple’s young people and young people in Lithuania and Tel Aviv and led programs to reach out to Jews living in countries with acute anti-Semitism. Some of Anderson’s efforts beyond the temple walls have been local. During the Great Recession, he began to see congregants losing their jobs and their homes, with devastating effects on their health and relationships. “There was a lot of pain,” he said. In response, he spearheaded Kehillat Wise, a program whereby temple members with expertise in finance, real estate and mental health, offered assistance and advice at no charge to other members in need. The program was so successful that it was emulated by Jewish federations and synagogues throughout the country. Another innovative program created by Rabbi Anderson is “Daditude,” a weekend playground gathering of young dads and their children for breakfast, fellowship and spiritual support. All of these programs are a reflection of his vision of connecting congregants to the wider world and their role in it as practicing Jews. Now that Rabbi Anderson has been here for a month, he also has some thoughts about Atlanta. He is also impressed by the friendliness of the people. If you meet Rabbi Anderson as he works his way through the community, you’ll understand why people are so friendly to him. There’s no other way to respond to someone whose heart is so obviously so big. When Rabbi Spike Anderson arrived on the pulpit at the Stephen Wise Temple in Los Angeles in 2008, he wanted a noncontroversial topic for his first sermon. He chose the environment — and watched some of his new congregants walk out in anger. “After getting over the shock, I was really interested in what their rationale was for their thoughts and opinions. … These are not, you know, bumpkins. These are very educated and very well-spoken people, so over time I sat down with them,” said Rabbi Anderson, 43, who became the new senior rabbi at Temple Emanu-El on July 1. “In the end we found more common ground over the course of years than separate issues,” he added. That lesson in dealing with congregants was one of many Rabbi Anderson learned during seven years at Wise Temple, which has 2,300 member families and five rabbis, providing him multiple mentors. He likened his time at the L.A. Reform congregation to working for IBM and his move to the Atlanta area, where he has no family, and to Emanu-El, “a smaller place with tremendous history, potential and opportunity,” to venturing out with a Silicon Valley startup. Rabbi Anderson should know: He spent his pre-rabbinical career in the high-tech industry, first with a New York-based headhunting firm that sent him to Silicon Valley to set up a satellite office, then with a business he and two partners launched there in 1997, Monday Technology Solutions. His strong support for Israel, which later helped him win over Wise Temple skeptics of his progressive positions on social issues, helped end his high-tech career and set him on a path to the rabbinate. A couple of years on the cusp of the Second Intifada, “Israel was getting its name dragged through the San Francisco media mud in this sort of Orwellian way that one often sees, and I got really angry,” Rabbi Anderson said. He connected with AIPAC and with rabbis in the Bay Area after having put serious Judaism on hold, and soon he was spending 90 percent of his time on pro-Israel activities and Torah study instead of running the business. That was at least the third time Israel helped alter the course of his life. The first was a trip from his native Boston after his bar mitzvah celebration. Rabbi Anderson said that visit sparked his interest in Judaism after a nonreligious childhood. He returned to Israel for a semester during his junior year in college, and he delved into serious Torah study with Orthodox rabbis. That experience led to three-year period when he was shomer Shabbos while living in New York. “These were brilliant teachers who really could bring out the beauty and the divinity of the text and the tradition,” the rabbi said. 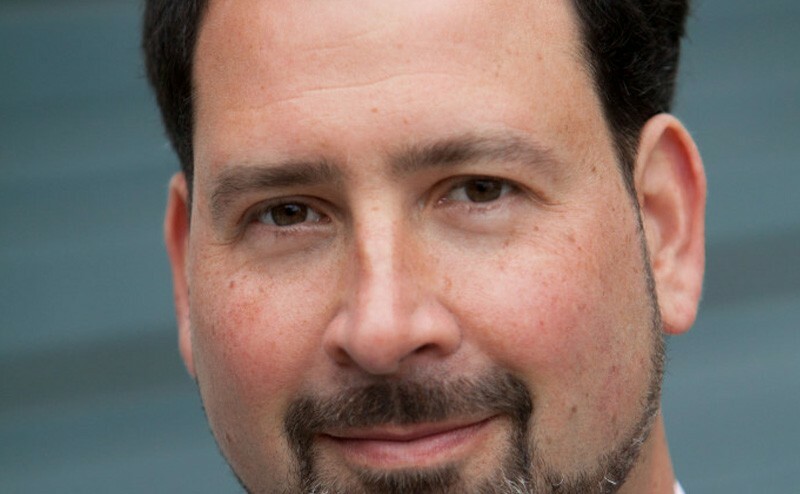 Another key teacher was Rabbi Ron Friedman, his childhood rabbi at Temple Israel in Boston. He called Rabbi Friedman after his sailboat soul-searching. The two men didn’t know each other well, but their phone conversations led to an invitation to spend the summer in Boston shadowing Rabbi Friedman. One day started with a crowded funeral for a young mother, progressed through marriage counseling, pre-marriage counseling and bar mitzvah tutoring, and concluded with a social action project for the homeless that involved hundreds of congregants. 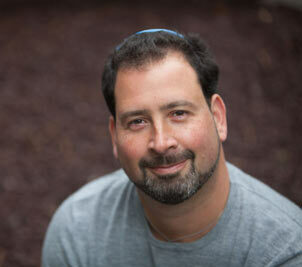 Now he and wife Marita and their two sons and a daughter, ages 9, 6 and 3, are here, drawn to Atlanta by what Rabbi Anderson sees as energy similar to Silicon Valley in the 1990s and attracted to Emanu-El by the opportunity to be an entrepreneurial spiritual leader. Lauren And Benjamin :: The Breakers :: September 6, 2015 from Senderey Video Productions on Vimeo. Roxanne and James Trailer from Bluecat International, LLC on Vimeo.